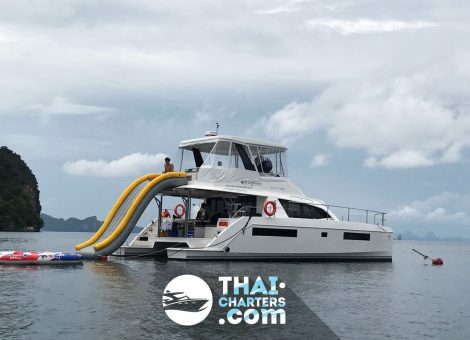 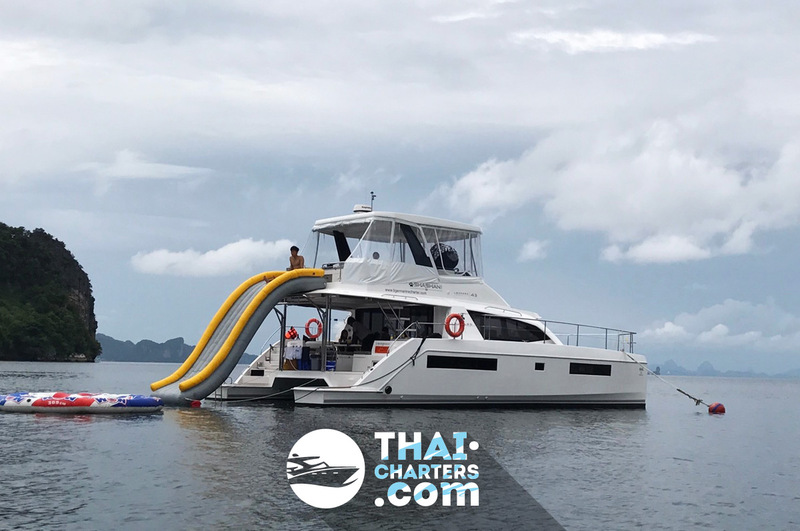 Powerful 13 meter motorized vessel with excellent driving characteristics from the shipyard “Leopard Catamarans” from South Africa. 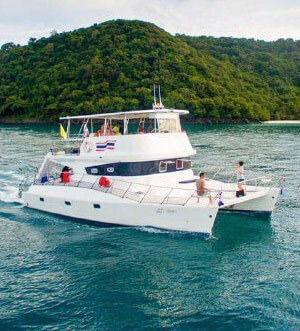 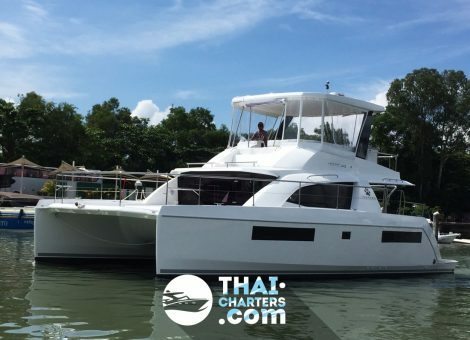 This catamaran ideally combines 2 motors of 320 horsepower and a comfort class charter. 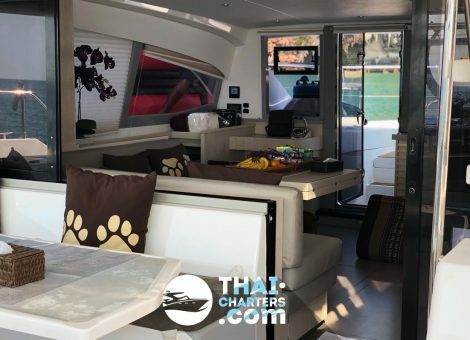 Under the hard awning at the stern, you can position the dining area to enjoy the sea views. In the air-conditioned lounge with panoramic windows there is also a table and a soft seating area. 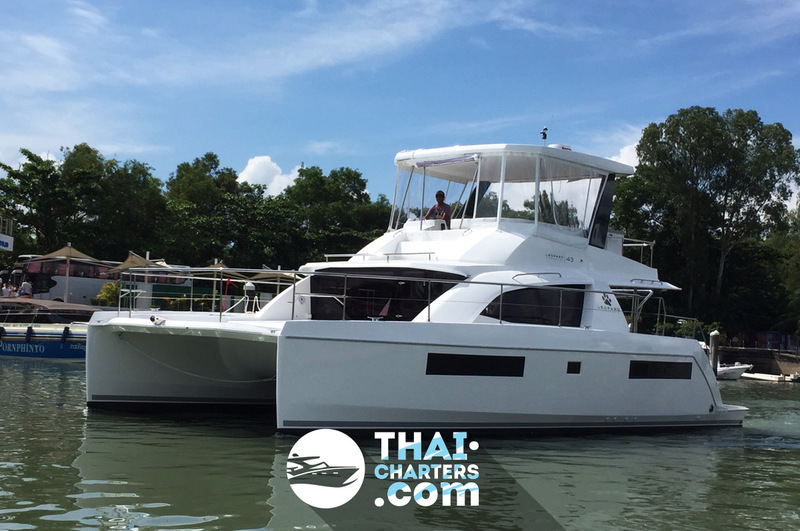 On board 3 cabins with air conditioning, which can simultaneously accommodate 6 guests for the night. 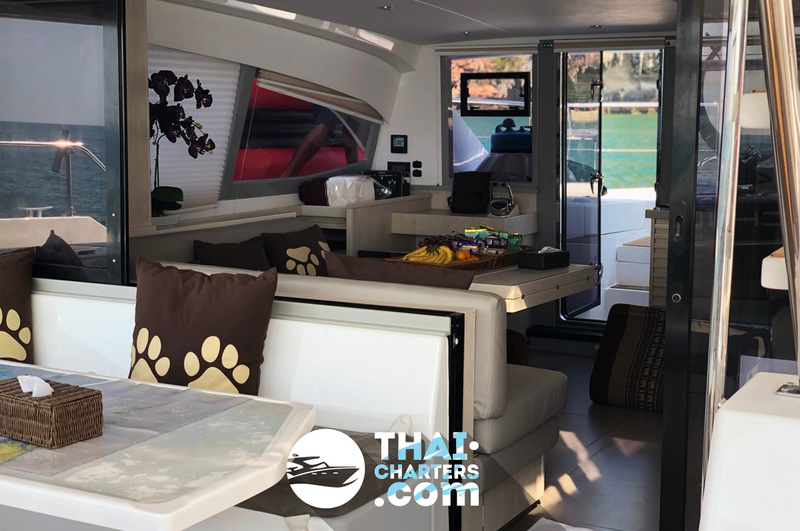 On the indoor flybridge you can have a party or a romantic dinner with an overview of 360 degrees, as it accommodates up to 8 people. 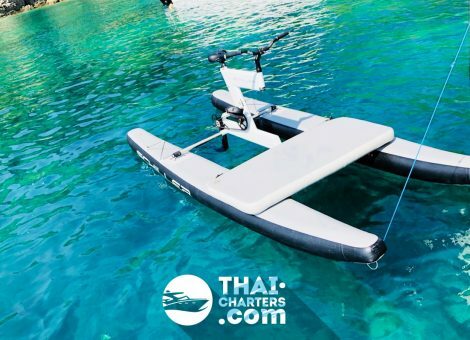 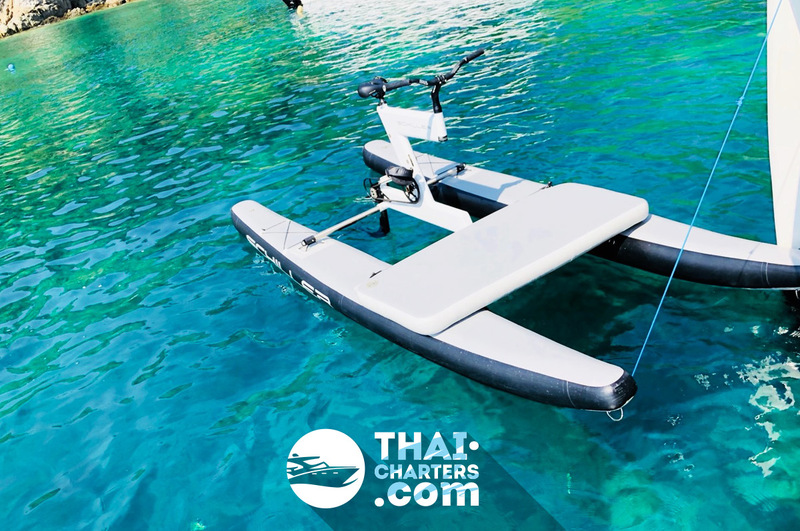 The motor catamaran is suitable for both large companies and for family walks for several days. 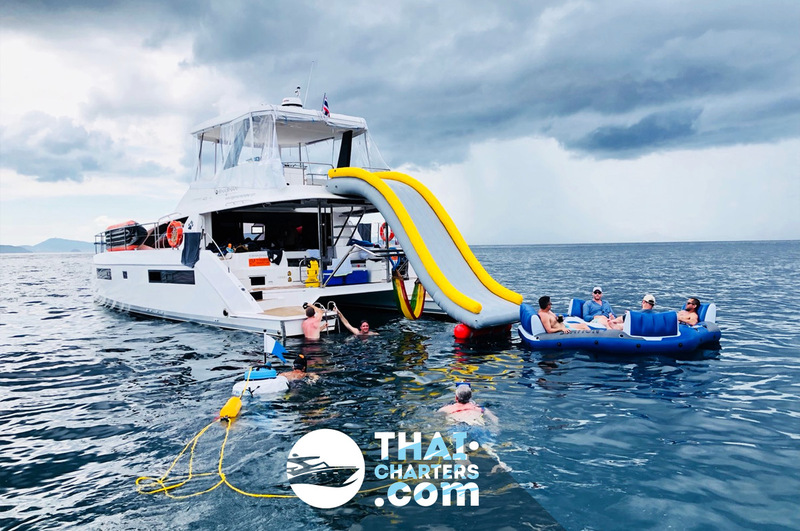 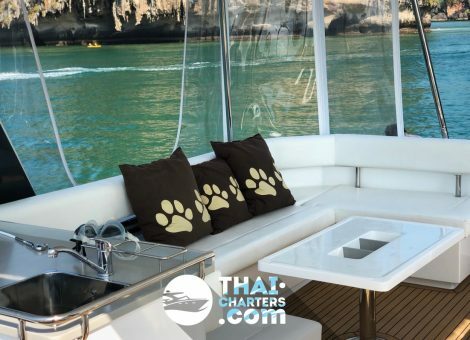 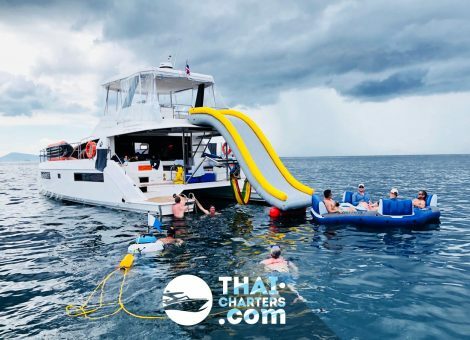 On board there is everything you need for a comfortable charter – dishes, music system, shower.